Resumes can be chronological, functional or combined. Let's look at these one at a time. 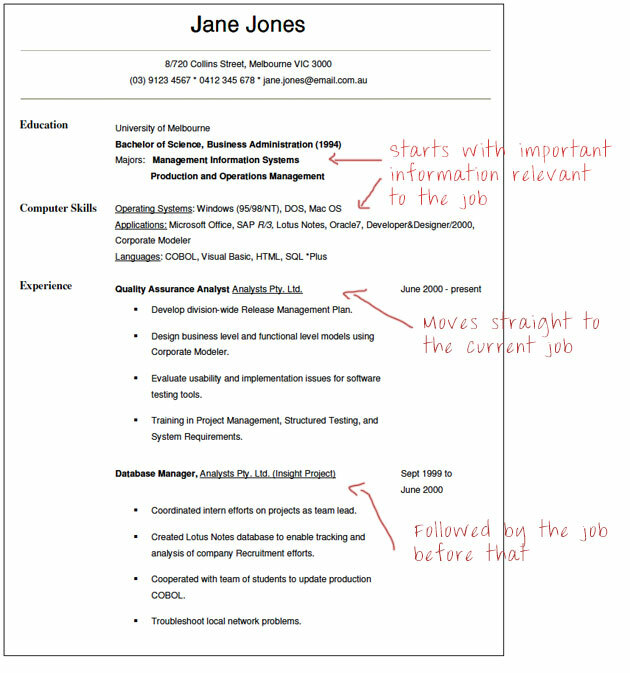 use a functional resume format to present their credentials. 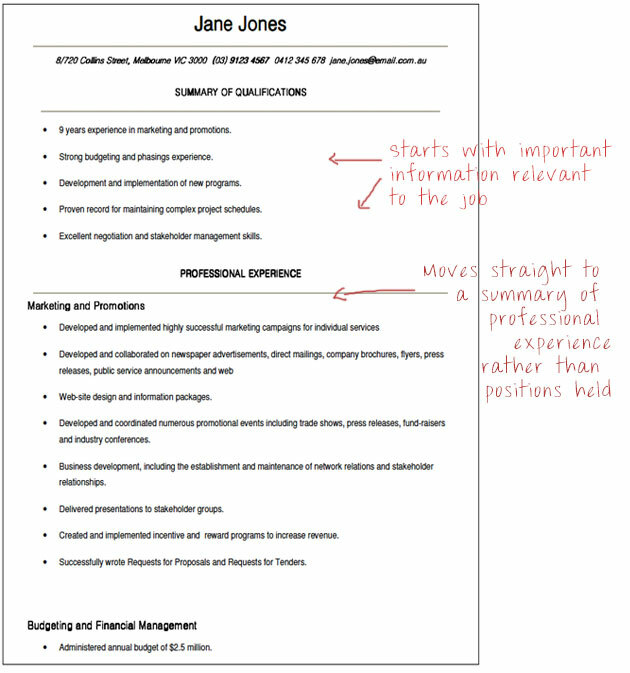 In general, chronological resumes are the best ones to use when applying for government jobs. you have done, not when or where you’ve done it. Accomplishments, qualifications and experience are grouped together, to emphasise your talents in specialty areas. For example, your skill areas might include marketing, public relations and management. Then, under each of these categories, you can describe the skills you have gained from all your work, volunteer experiences and professional development. and education histories in reverse chronological order. (e.g. executive) positions, with impressive achievements to highlight. number of applications, it is best to stick to a simple and straightforward chronological resume.